How useful is Latin in the Modern World? Back in 2010, Google’s popular machine translation service Google Translate decided to add Latin to the list of 50+ languages it supports. For educational and research support rather than corporate use, of course. While we may not expect any of Etymax’s corporate clients to request a translation of their web site, ad campaign or technical manual into Latin*, the “dead language” is actually very much “alive and kicking” in our everyday lives. At least 60% of words in the English language alone are rooted in Latin, and it is considered the “mother” of all modern Romance languages whose vocabularies are replete with Latin stems. The Vatican Bank is the only bank in the world that allows ATM users to select Latin to perform transactions and shows the devotion of the Holy See (or Sancta Sedes) to its Latin tradition. 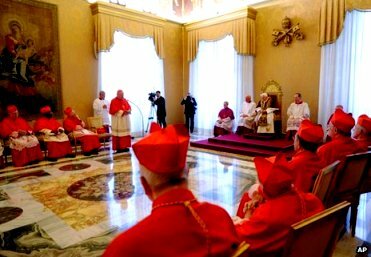 In February 2013, it was an Italian reporter who got the scoop on Pope Benedict XVI’s resignation because she understood the Pope’s announcement in Latin, the language of the Vatican. Thanks to this, Giovanna Chirri was able to break the story to the world. Unlike his predecessor Pope John Paul II (who mostly spoke Polish), Pope Benedict XVI was a diehard Latin fan who dubbed Twitter “Pagina publica breviloquentis” (or “Concise public page”) and gave birth to the first papal Twitter account in Latin in January 2013 – continued today by his successor Pope Francis. Against all Vatican expectations, the papal Twitter account in Latin gained more than 100,000 followers in its first six months and continues to grow. 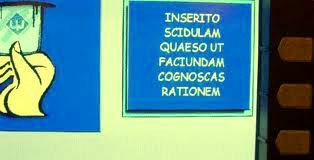 But away from the Vatican, the benefits of learning Latin are manifold. Latin not only increases linguistic awareness and helps the understanding and usage of one’s own language. In fact its vocabulary and grammatical framework have similarities to those of French, German and Spanish. Its grammatical framework promotes precise analysis and logical thinking, as well as enhanced reading and writing skills with greater precision in expression. It promotes greater understanding of specialised fields of study, whether literary of technical, historic or scientific. Latin is still used in the creation of new words in modern languages of many different families, including English and Romance languages. Latin knowledge even provides a kick-start in the learning of other languages that are not related to Latin, such as Russian and Greek which, like Latin, are highly inflected languages. Because it requires precision and logic, learning Latin is a challenge and requires a high level of intelligence to master, not to mention perseverance, enthusiasm and focus. These are, of course, the qualities of employable individuals in today’s society. * Etymax offers Latin translation services, artwork and proofreading. Please contact us for details.